Our Camper in Leadership Training program will help your camper develop important leadership skills and abilities as they continue to grow into the person God has created them to be. CILT’s must be approved for the program and complete the weekend training. Through their participation in the CILT program, we hope your camper will be able to serve at least one or two weeks during the summer with our overnight camp sessions. Step 2: Have your camper fill out the application and return it to Innabah via mail or email. Step 3: Once your application is received, you will be contacted to confirm that you have or have not been approved for the program. At this time, you can login to CampBrain (via our website) and register for the training weekend. Applications are due on April 15, 2019. The $30.00 fee must be paid prior to arrival on May 4th. Training weekend is mandatory for all new CILT’s. Returning CILT’s need not attend training, but should still fill out an application to be placed with camps for summer 2019. The cost per week long summer session for both new and returning CILT’s is $100.00. 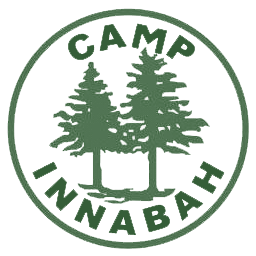 Contact Kelly Nelson with any questions about the CILT program, camp@innabah.org.